Love to layer? This necklace from Melissa Joy Manning is perfect for everyday! 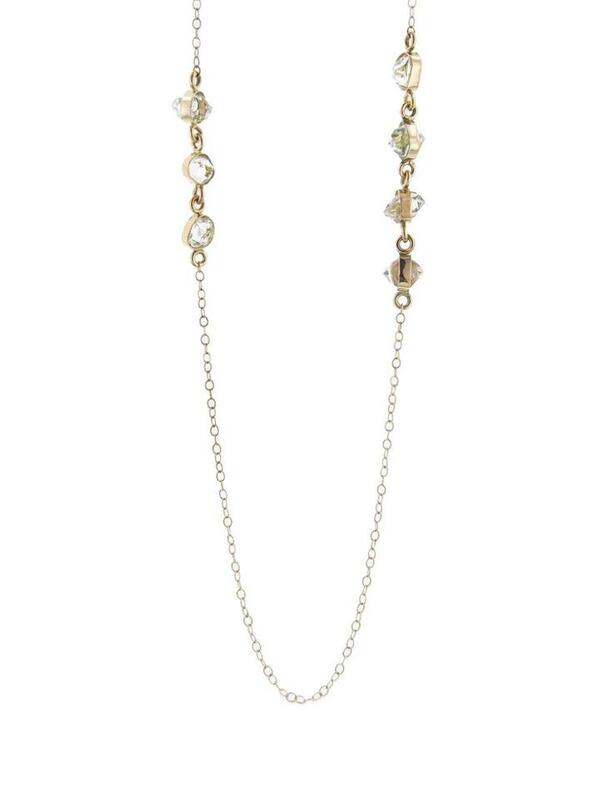 Herkimer diamonds are set on both sides of the 14 karat yellow gold chain. The chain may be adjusted from 18 to 20 and secures with a handmade hook clasp.